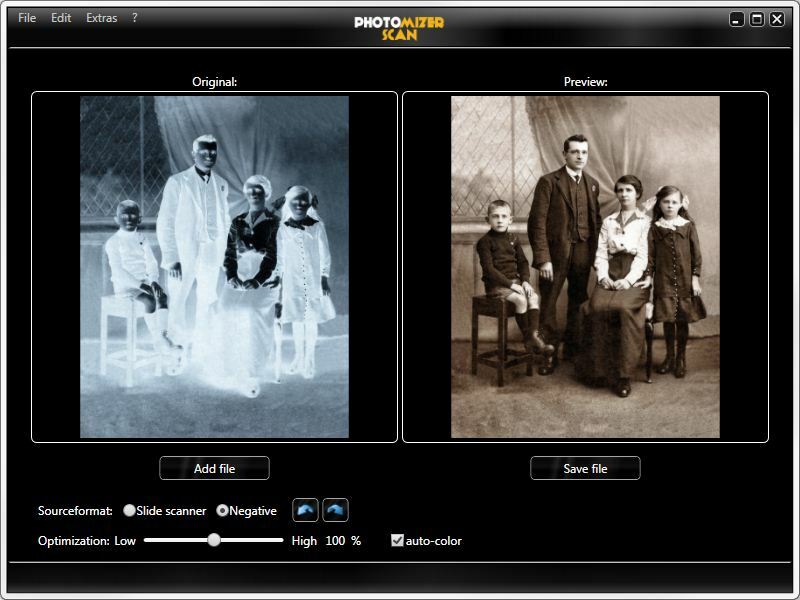 With Photomizer Scan 2 software you easily edit your scanned photos, scanned slides and even your scanned negatives. Enjoy more colorful images by touching up flat colors! Remove errors and dust at the PC – fully automatically! The easy-to-operate software impresses with a clear user interface. You see the original picture, preview and work surface directly on the monitor. The results of the optimization are displayed in real time. Simply save all changes – ready. Have you digitalized your slides, negatives, APS-films, raw scans or medium format pictures and do you now want to make more of your pictures? If you have a slide scanner and are not satisfied with the scanned results, Photomizer Scan 2 is your perfect solution. Trial version of Photomizer Scan 2 can be downloaded from the following link. Photomizer Scan 2 costs $49.99 which can be purchased using this link. You can get 60% discount on the software. The offer should automatically get activated by going to the purchase link; otherwise use coupon code PZ8-4J6-U7J or purchase using this link.